The entrance to the P-CityForum car park under central Helsinki on 18 July, 2017. The Washington Times has reported that Finland is building underground tunnels in preparation for a potential Russian attack. As Russia plans its biggest military exercise in years, Finland is reportedly going underground. This is according to The Washington Times and various other media sources, which claim that 200 kilometres of tunnels, passageways and shelters are being built underneath Helsinki in order to protect residents and the government from potential Russian hostilities. In the business world, the Finnish government expects the country’s sharing economy to grow 1200% by 2020, while Finland’s second-biggest power distributor is reportedly considering selling to Asian investors for €3 billion. 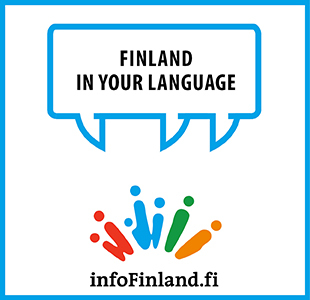 Rounding up this week’s selection of the best international stories about Finland, tourists are deserting the far northern village of Utsjoki and Finnish scientists look to ease world hunger by producing protein from electricity. “ There’s a new wrinkle in the Russia-Finland relations. The Finns, feeling threatened as always by their giant neighbor, are planning one of its largest military exercises in decades. They’re going underground, building a subterranean city beneath Helsinki to form a critical line of defense. Finnish soldiers routinely train there to be able to keep the government running and the capital’s residents safe in an attack. A network of more than 124 miles of tunnels, passageways and shelters would supply utility and subway tunnels, communications, water supply and internet connections. There’s shelter space for 600,000 persons. Original article was published by on 17/07/2017 and can be found here. “ At the behest of Finland’s Ministry of Economic Affairs and Employment, PwC published a report on Finland’s sharing economy – a report which hints at the magnitude of change we can expect. The report identified five areas as the most vital components of the sharing economy: lodging platforms like Airbnb, ride-sharing platforms as exemplified by Uber, peer-to-peer household services, platforms for professional services, and crowdfunding. It may seem like the sharing economy has already irreversibly become part of our lives, but it is only the beginning, according to PwC. Original article was published by on 19/07/2017 and can be found here. Finnish scientists find a method to create food from air? “ A batch of single-cell protein has been produced by using electricity and carbon dioxide in a joint study by the Lappeenranta University of Technology (LUT) and VTT Technical Research Centre of Finland. Protein produced in this way can be further developed for use as food and animal feed. The method releases food production from restrictions related to the environment. The protein can be produced anywhere renewable energy, such as solar energy, is available. “ Elenia Oy’s owners are preparing to kick off a sale that could value Finland’s second-largest power distributor at as much as 3 billion euros ($3.5 billion), restarting a process that was delayed last year, people with knowledge of the matter said. The utility has sent out teasers and senior executives are planning to meet with potential suitors in Asia in the coming weeks, the people said, asking not to be identified as the information is private. Elenia is expected to send out more detailed information and ask for initial bids in September, they said. Original article was published by on 20/07/2017 and can be found here.
" In the fishing tourism of the River Teno, early July should be the busiest time of the summer for business people. Usually, all the cabins have been rented and you can see boats everywhere on the river. Uula Tapiola believes that the tourists have disappeared from the River Teno because of the new, stricter fishing regulations and gone to the River Tornio instead: “As far as I know, the tourists are going to the River Tornio. It’s all packed there; they’ve rented all their cabins and boats for the whole summer,” Tapiola says. " Original article was published by on 21/07/2017 and can be found here.